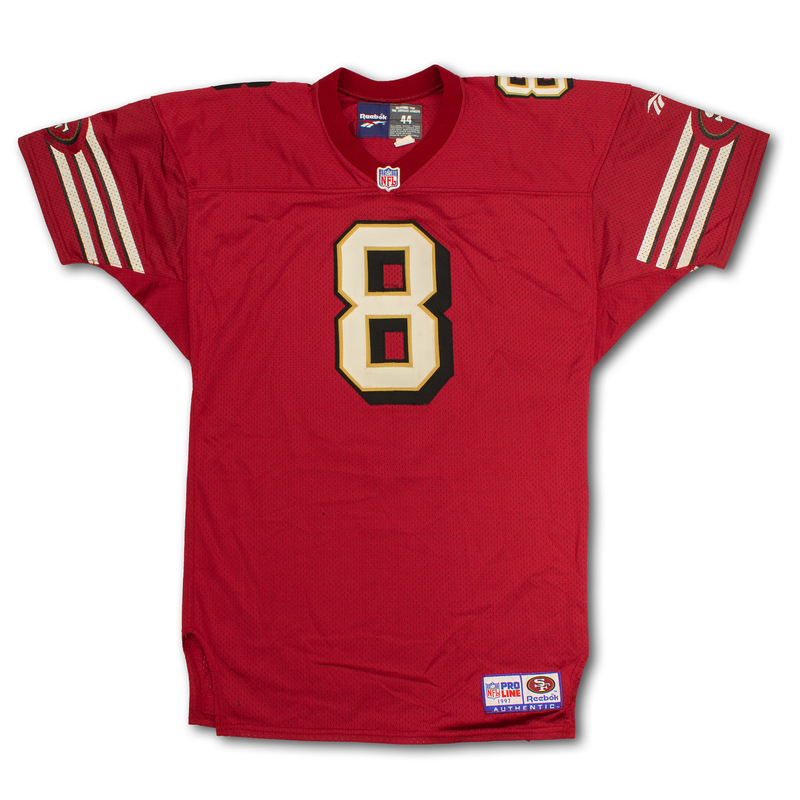 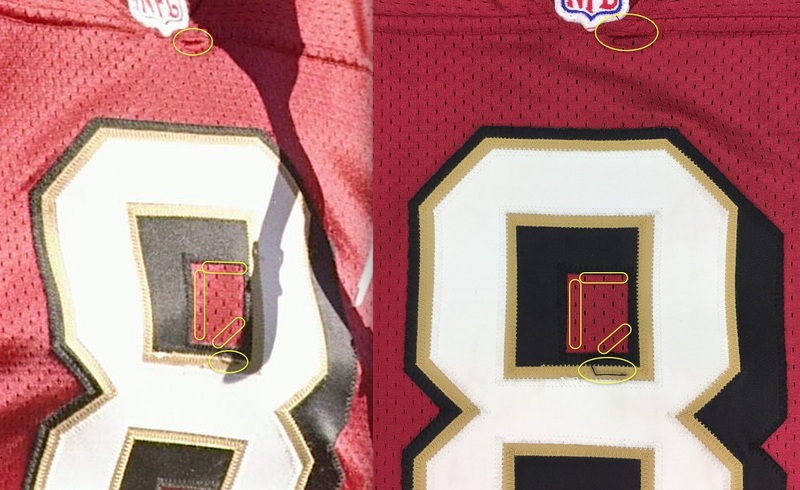 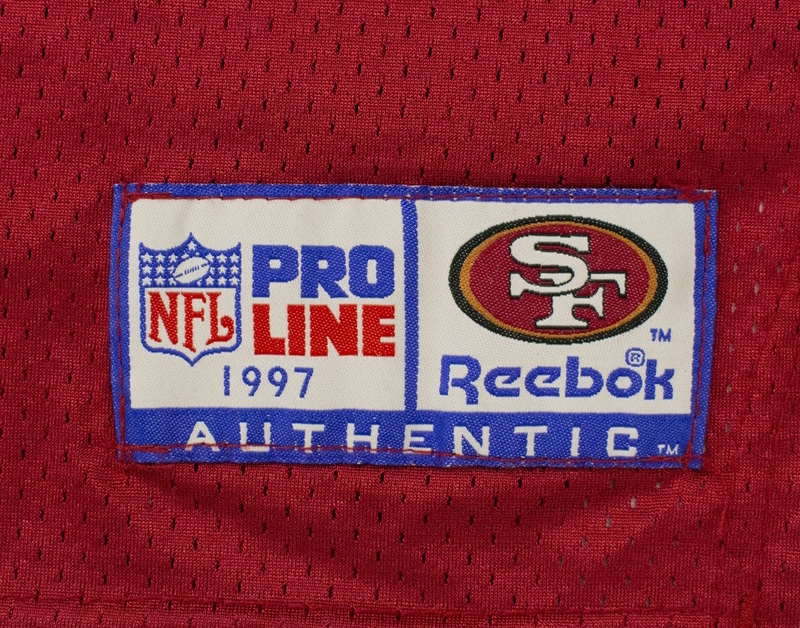 This San Francisco 49ers home jersey was worn by Steve Young during the 1997 NFL Season. The jersey photo matches to a victorious 3 passing touchdown performance versus the St. Louis Rams on October 12th 1997 where Young passed for 223 yards and ran for another 25 yards. 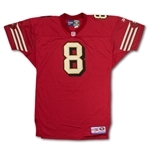 The jersey displays solid game use with loose threads, scuffs and light staining. The jersey features a signature in black sharpie on the rear "8" which is accompanied by a JSA LOA. 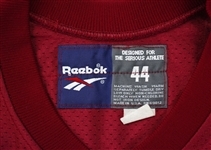 This size 44 reebok jersey features white-on-gold-on-black tackle twill numbers and white-on-black tackle twill characters on the red nameplate. 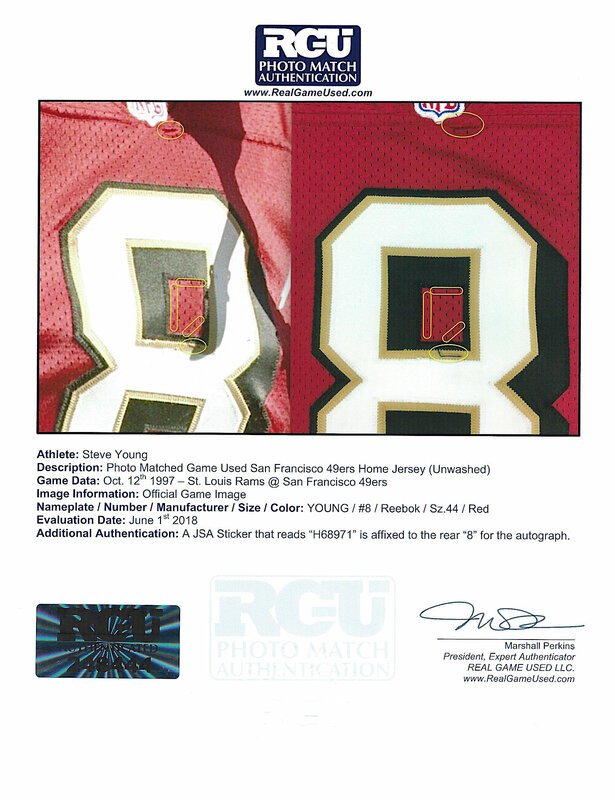 The jersey is accompanied by a photo match letter of authenticity from Real Game Used (RGU). 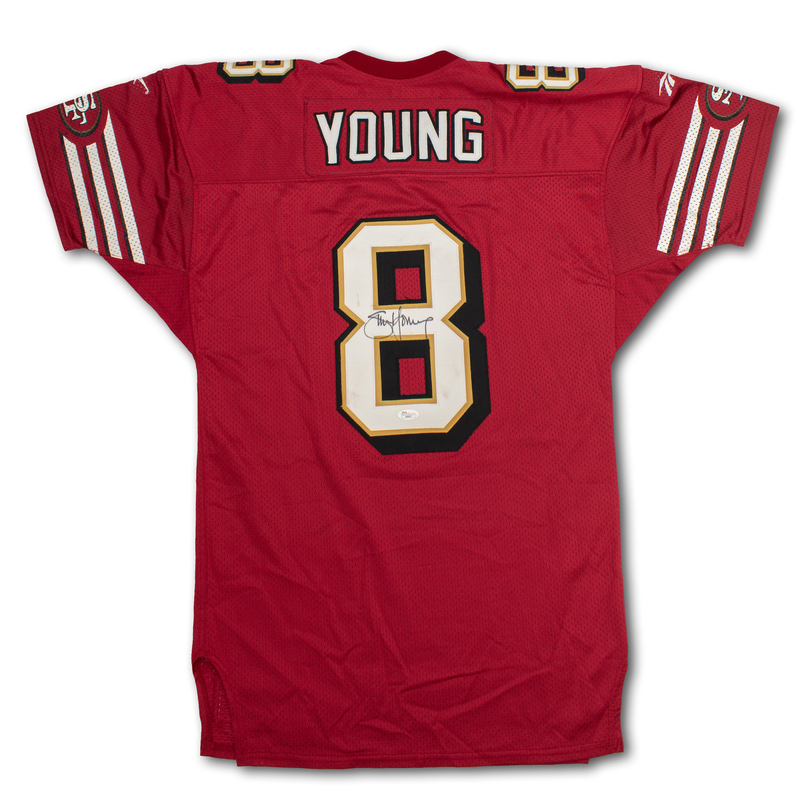 Steve Young is a 3-time super bowl champion, 7-time pro bowler, 2-time NFL MVP and was the MVP of Super Bowl XXIX.